Nestle is one of the largest food and beverage companies in the world so it is not surprising that one of its products include bottled water. One such product is Ice Mountain Water, which is produced and marketed in the Midwest region of the United States. 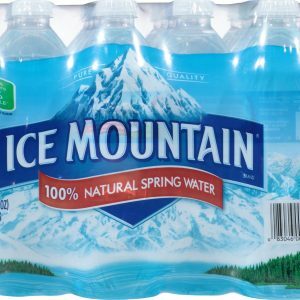 According to the manufacturer, Ice Mountain water is 100% natural spring water, which means that the water comes from carefully selected springs. The sources are two groundwater wells located in Sanctuary Springs and Evart Springs in Mecosta Country and Evart Michigan, respectively. Below are the latest Ice Mountain Water prices. 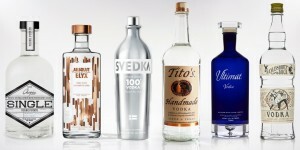 This bottled water brand comes in different sizes to meet the needs of the consumers. It is available in 240 ml, 270 ml, 330 ml, 500 ml, 590 ml, 700 ml, 3 liter stackable bottle, 10.5 liter bottle, 2.5 gallon dispenser, 3 gallon container, 90 gallon container, and 100 gallon jug. Nestle water uses PET plastic bottles for the packaging of Ice Mountain’s natural spring water. The PET plastics that they use are identified by the Food and Drug Administration as safe to be used for packaging of foods and beverages so there is nothing to worry about. Aside from the clearance from FDA, Ice Mountain also ensures that they evaluate packaging materials on a regular basis to ensure the safety of the consumers. Also, it is worth noting that their water bottles do not contain Bisphenol A or BPA and are completely recyclable. With Ice Mountain, consumers are also given a choice because they offer both fluoridated and non fluoridated waters. They do this to ensure that consumers get the quality that they want at their convenience. Why would you want a fluoridated water? The American Dental Association and the FDA both support and believe that drinking fluoridated water may help reduce the risk of having tooth decay. However, it is always best to consult dentists and pediatricians just to be sure that children are getting only the recommended amount of fluoride in their overall diet. Ice Mountain’s fluoridated bottled waters are regulated by the FDA so you can be assured that the fluoride content is indicated on the label. This allows the consumer to make the right selection of products. So, if you are looking for a specific fluoride value, make sure that you look at the water quality reports which show the fluoride content information per product. Unlike other bottled water brands, Ice Mountain is 100% natural spring water. It does not go through any filtration or purification process manned by machineries or humans. Ice Mountain recognizes that they need to do a lot of research and analysis when selecting a spring where they will get their water. That is why, they make sure that they only choose the sources that have long term sustainability. Spring selection is not an easy task, so the manufacturer study the springs and areas around them to make sure that everything is just right –from the site history, to the geological makeup, as well as the weather patterns. Ice Mountain Water comes straight from nature and its origin can be traced back to thousands of years ago, during the last ice age. According to their website, when the glaciers that covered the northern United States and Canada melted or drifted, they left behind some natural elements that formed deposits rich in minerals. Some of those deposits were even hundreds of feet thick. The melting ice along the edge of the glaciers formed streams and rivers, while the sand and gravel deposits created aquifers. An aquifer is an underground layer of rock fractures, porous rocks, and other materials such as gravel, sand or silt, where groundwater can be extracted.The aquifers that were formed served as storehouses of very pure groundwater. A natural spring is created when the pure groundwater rises up to the surface and those few select springs are the sources of the crisp and fresh tasting Ice Mountain Water. Ice Mountain gives an assurance that their water goes through a ten step quality and safety process. Once the water is collected from the spring, it undergoes severe and rigorous process to ensure that each drop of water has been screened for contaminants before it reaches the consumers. Nestle is proud to say that their testing standards for Ice Mountain water meet and even exceed the standards set by the EPA and the FDA. 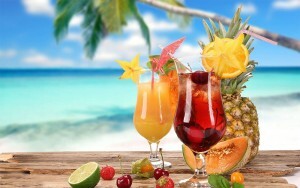 That is why, you can be guaranteed of the water’s quality and your health’s safety.